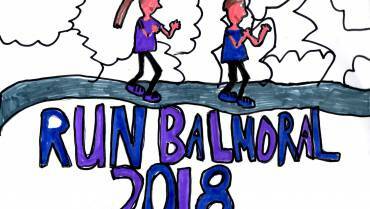 The Run Balmoral 2019 Programme is now available for download. Not long now! View photos from the weekend race events. The ConocoPhillips 5K all takes place on estate tarmac roads. The race begins heading west from the Castle adjacent the river Dee to a turn point at the Highland Pony Stud. There is a slight incline as the route returns to the castle via the “top road” which has magnificent views of Balmoral Castle and gardens. The race where some of our national and International runners started! The race is completely contained on tarmac roads in the estate and passes right in front of Balmoral Castle! Well marshalled and signed throughout with a lead cyclist and sweep runner. The race starts and finishes at the main finish gantry. Once past primary School age many of our runners graduate to the 2.5K event. 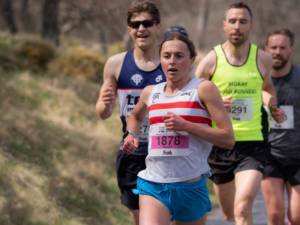 The race is completely contained on tarmac roads in the estate and passes right in front of Balmoral Castle! Well marshalled and signed throughout with a lead cyclist and sweep runner. The race starts and finishes at the main finish gantry. 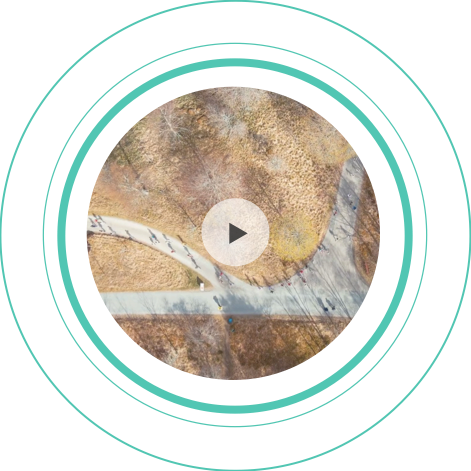 Aberdeen based engineering and project services provider Apollo are our sponsor for the duathlon featuring a 16K mountain biking stage with a 6k run to start and a 5k run to finish. An epic 15 miles of Highland scenery. There is something special about this event! You start in view of Balmoral Castle and run out west adjacent the magnificent river Dee before beginning a gradual climb through the Ballochbuie pine forest. Then at mile 8, you leave the river and begin a climb to the base of Lochnagar, an ascent of about 120 meters. The last 3 miles are a rush as you hurtle down towards the Castle once again; but beware..there is a sting in the tail! Don’t be fooled into thinking the Bristow Group 3 Mile trail race is an easy option! This fast little trail race heads off adjacent to the river Dee before turning up hill. In just 2 miles you climb 350 Meters, before a fast descent for the last mile. A mix of tarmac, track and slippy grass, this is a true all terrain event! 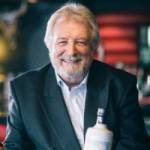 Can you handle the Devil O Deeside? 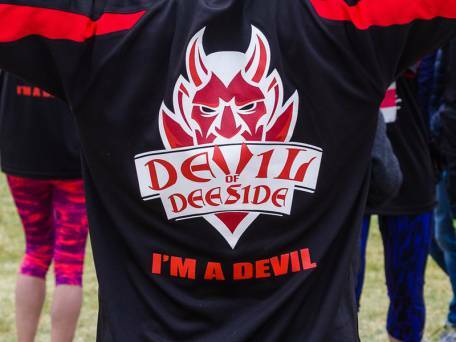 To dance with the Devil you have to complete the Stena Drilling 10K, ConocoPhillips 5K, Bristow Group 15 Mile Trail race and the Apollo Duathlon! There will be two categories of winner; male with the fastest overall cumulative time and female with the fastest cumulative time. That’s it! 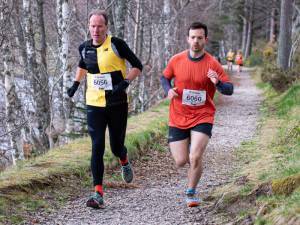 Saturday 21st April 2018 – Corporate Challenge Trophy The StenaDrilling – ConocoPhillips Corporate Team Challenge is an exciting competition embodied within RunBalmoral 2018. It provides a wonderful opportunity for you to get together with your work / colleagues to compete for the magnificent team trophy to be awarded to the RunBalmoral Corporate Team Challenge Champions 2018. Regular running helps you stay fit and healthy. Enjoy the fresh air and the spectacular scenery, from mountains to the castle and its landscaped grounds. 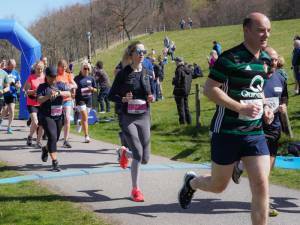 A great day out for runners and spectators, with an event village on site. It is an opportunity to not only get fit and have a great day out, but to make a donation to a nominated charity. 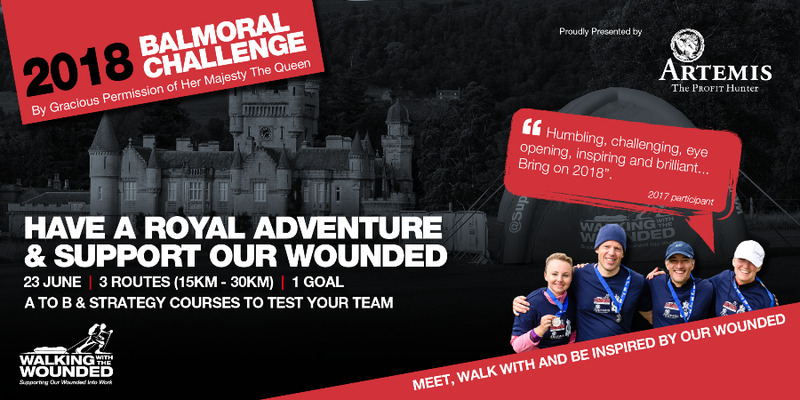 We are delighted to announce that RunBalmoral 2019 will be held over the weekend of Saturday 27th and Sunday 28th April. Entries will open on the 7th November 2018 at noon for the programme of eight races catering for all age groups. This will be the 22nd year of the event and we will once again look forward to welcoming more than 5,000 entrants and as many spectators to the estate. Put it in your diary now! There's only a few hours left! 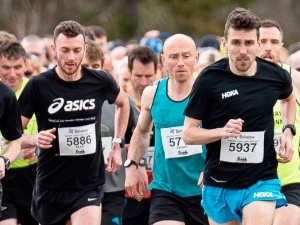 Entries for Run Balmoral 2019 will close at 8pm today, Wednesday 10th April. ConocoPhillips 5km (only charity places available now). Harrogate Spring Water secondary schools 2.5km. Bristow 15 mile trail race. Bristow 3 mile trail race. It's last chance saloon time. There's 24 hours to go before we close entries for the 2019 Run Balmoral races. So sign up NOW if you want to join us and thousands of other running enthusiasts over the weekend of 27-28 April. 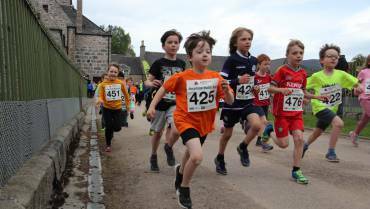 It's a memorable family occasion with lots of exciting activities for youngsters in our Event Village - as well as the fantastic series of races for all ages held over traffic-free routes within the spectacular grounds of Balmoral Castle. Repsol Sinopec Devil of Deeside Challenge. Run Balmoral, do you mean 2019 races? Keri McConachie come on. You can do this. Eek. What do you think Vicky Abernethy Fiona Logan?? Is there a bus from Aberdeen that I can get, or is there car parking beside the race? Annie Baker-Patch .....signed up yet??!! The finish line is in sight - maybe not for Brexit - but there's only 10 days to go until entries close for Run Balmoral 2019!! The ConocoPhillips 5km is full (other than the few remaining places allocated to our official chairities) - and the Stena Drilling 10km is heading that way too. 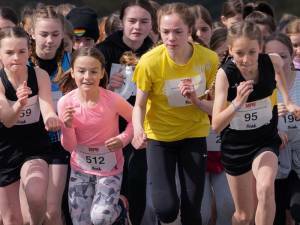 A large group of young runners from Aberdeen's Westpark, Heathryburn and Seaton primary schools will take part in the Balmoral road races thanks to a successful funding bid. 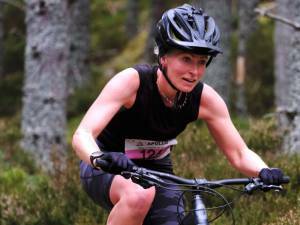 Aberdeen AAC's Pathways Development Officer, Ruth Watson, has received a grant from the Run Balmoral Sports Bursary scheme which will cover the cost of transporting up to 40 youngsters to the popular Deeside event which is now in its 22nd year. Watson has been involved with the schools for the past couple of years, encouraging youngsters to get involved in running and other branches of athletics. She said:"Aberdeen AAC has been working closely with these schools. We have been assisting with the development of school running groups at both Westpark and Heathryburn, and establsihing a junior jogging club at Seaton. "A pathway into Aberdeen AAC has been established and regular training sessions are provided by Aberdeen AAC coaches in collaboration with Active Schools and teaching staff. "We have seen a number of the chidren develop to finish high up in city-wide Active Schools cross country and road race series. 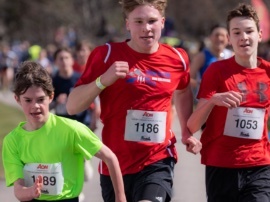 "Getting to an event like Run Balmoral would, however, be difficult for many of the children as transport might not be available or affordable, so getting this grant makes it possible. "We hope that at least 10 youngsters from each of the schools will be able to take part. It's a great opportunity for them and it will be an amazing experience." "There are some very good runners at all these schools so we are keen to see them develop." Nine other groups have received funding through the Run Balmoarl Bursary scheme. 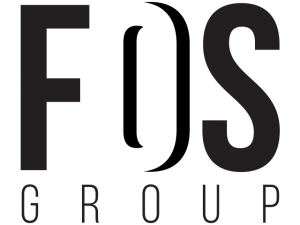 Entry for all our races will close at 8pm on Wednesday 10th April 2019. Limited places remain in all other events so sign up today to avoid disappointment. Claire Drewitt not too late...!! The ConocoPhillips 5km is now sold out for general entries but you might still be able to obtain a place through one of our official charities. Cornerstone, Friends of the Neonatal Unit, Kayleigh's Wee Stars, Scotland's Charity Air Ambulance, SensationalALL, Sue Ryder Dee View Court, University of Aberdeen Development Trust and Voluntary Service Aberdeen all have places available. Is the 10K near capacity? Hey potential VSA 5K runners 😀 contact fundraising@vsa.org.uk to run for VSA and help us to change lives across the north-east! Had a great time! Thanks to all the guides and fellow runners had a fab morning 🙂 See you all in April. Who is that weirdo in the red jacket and black long socks?!?! If anybody fancies a car share on Saturday I'm leaving Aberdeen at about 8:30am? Doing the 10km run. I’m heading out from Aberdeen in the Sunday for the 3 Mile run if anybody fancies a car share? Leaving town about 8:30? 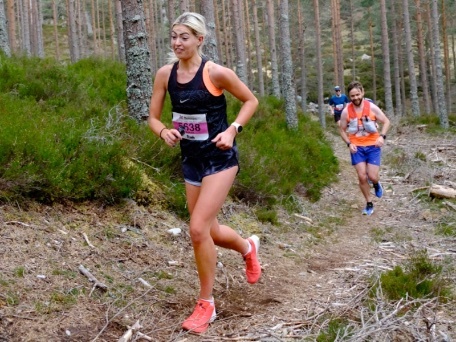 Commonwealth Games marathon bronze medallist Robbie Simpson shares some tips on how to prepare for the Run Balmoral races, with some specific advice on tackling the famous hill in the Stena Drilling 10km. You can learn more from Robbie by attending our seminar on Wednesday 6th March at Aberdeen Sports Village.